A Real Monster Magazine enters its 22nd year! 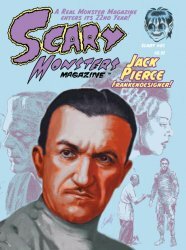 Scary Monsters magazine #85 - the Jack Pierce Frankendesigner Issue! Meeting Julia Adams: The Creature from the Black Lagoon had good taste! 132 scary pages. All ads, contact information and website addresses appearing in this magazine are no longer in effect. Please direct all inquiries to scarymonsters@mymoviemonsters.com. 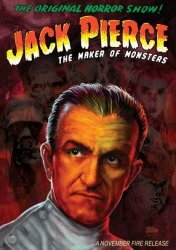 Interested in learning more about Jack Pierce? Why not pick up the outstanding documentary "The Maker of Monsters" by using the convenient Buy Both button below.